Buildings are set to become more than just places we inhabit, work in or visit. With the rise of smart buildings, our traditional bricks and mortar structures are poised to learn from our actions to help us become more productive and efficient. However, many organisations are struggling to understand what’s possible, where to start and how to transform an analogue building into a smart hub fit for a digital future. 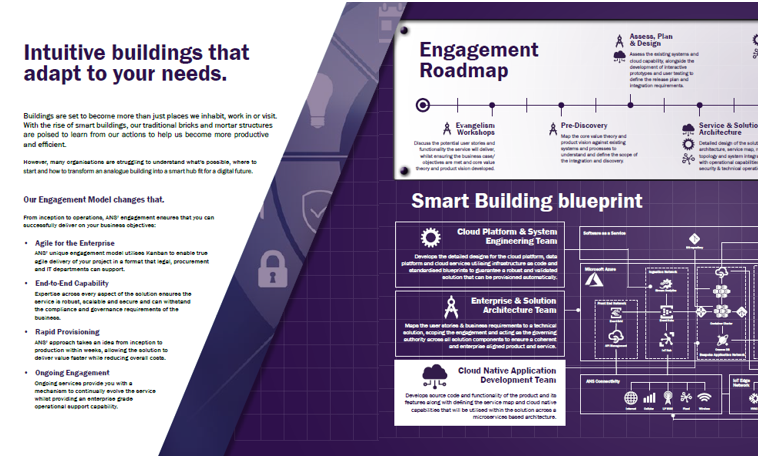 Take a look at ANS’ smart buildings blueprint to discover how you can create a two-way conversation between your building and your users.